• Chainsaws are only for cutting wood. 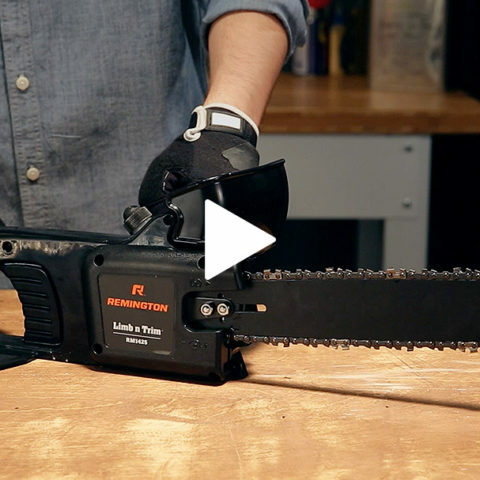 • To start the chainsaw, press and hold the throttle lockout and squeeze the throttle. • Press the chain oil bulb every 30 seconds while cutting to oil the chain and reduce friction. • Maintain pressure until the end off the cut, then ease up to finish. • After cutting, unplug the saw. The unit can stay hot for up to 10 minutes, so put the saw where children and pets can’t get to it. If the saw does kick back, or hits something, or just starts vibrating a little too much, release the throttle control and wait for the chain to come to a complete stop. Better safe than really, really sorry. 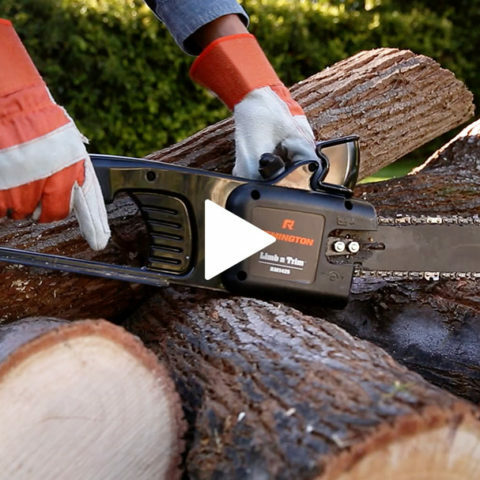 Your chainsaw’s most important safety feature is you. So read your owner’s manual, and respect the saw.